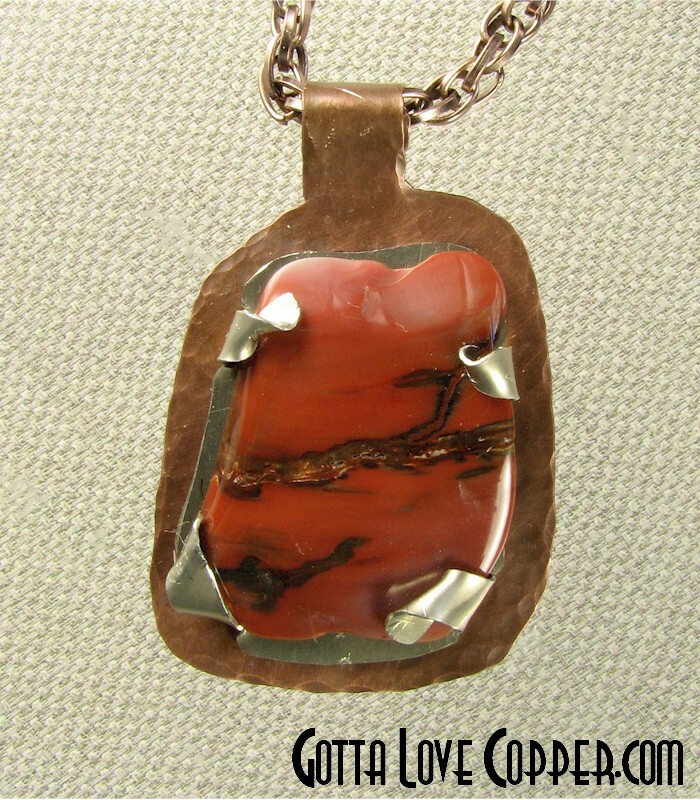 This copper pendant has a nickel-silver mount holding a shiny piece of tumbled Red Jasper. Includes an 18-inch copper chain. You are visitor number 2,010 to this page.